The symbols are Tibetan for “om” (generosity) and “ni” (patience). Both of which describe chocolate, I believe. Includes necklace, earrings, and “tikka” – the headpiece that hangs down on the bride’s forehead. Thanks for sharing launch day with me! 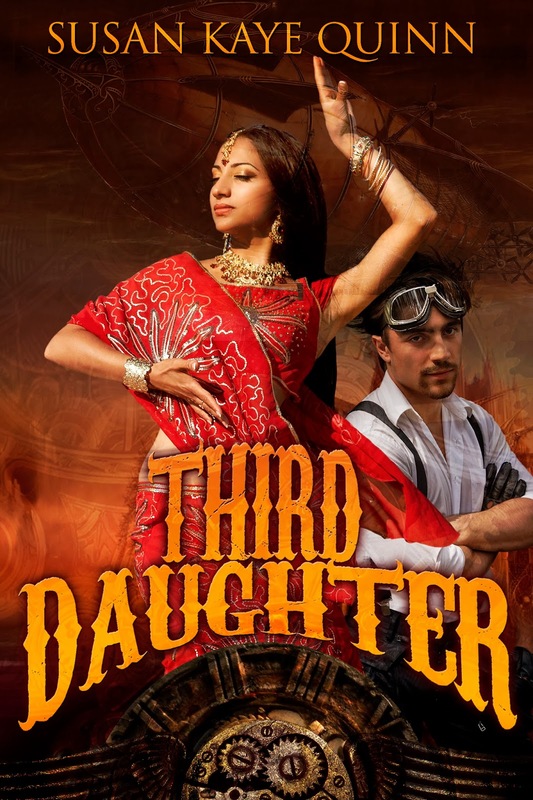 I hope you enjoy reading Third Daughter as much as I enjoyed writing it! I need this yesterday! ACK! 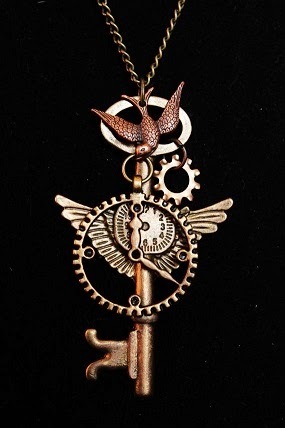 That steampunk necklace, OMGOSH! It's so me! I WANT! Congratulations Susan! You deserve it! Your writing is phenomenal! You're welcome and guess what I just ordered from you! EEP! It is not allowing any new hosts for the book!! the post is dated today,so I know I am not late?????? Kelly – I would love for you to host the book! I'll email you the information right away! It let me this time. Got it!! Thanks! Looking forward to it. Congrats! Can't wait to read the book! Congratulations, Susan! Wow – you are productive! This looks like another awesome read! Congrats, Sue! Another great book and accomplishment for you. Congrats, Susan! I've been seeing good things about this book. Cool competition too! Congrats, Susan! Sounds like a great book. Am hoping to get to read it. This is going to be an amazing book. Great job. Just wondering, what is the approximate age for readers? Tez – it was written as an adult romance, but it's really a pretty clean book. A couple kisses, that's about it. 🙂 So, I would say it's a clean read, and with some coming-of-age themes, it's appropriate for ages 13+.